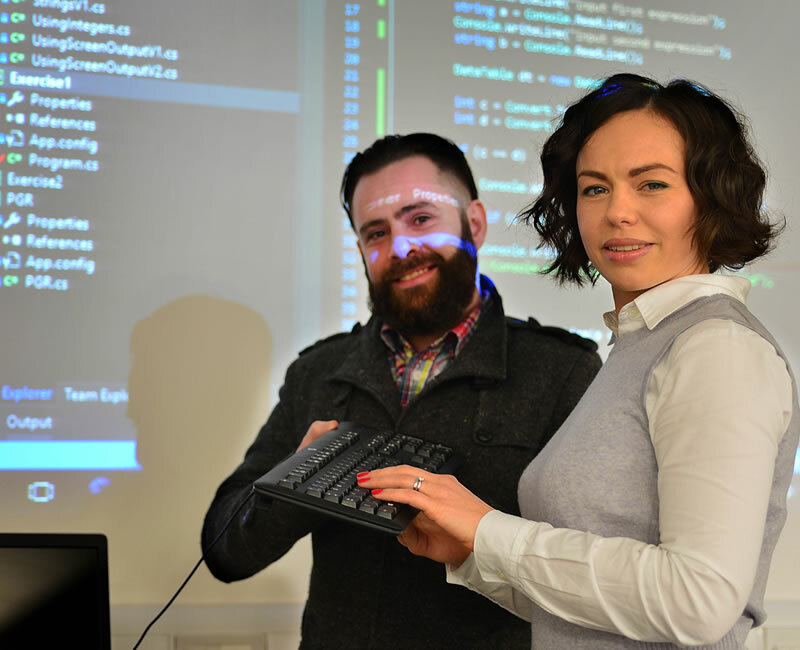 South Eastern Regional College (SERC) is pleased to announce the launch of their first Future Skills Data Analytics Academy at the Colleges SPACE campus in Bangor. The programme aims to provide students with the distinct skills and experience required to take up new opportunities in the rapidly growing area of Data Analytics. It also aims to match the skills of the workforce with the bespoke skills employers need. The Academy has been designed by the Department for the Economy and the further education network under the Future Skills Initiative, which targeted applicants with a HND in a STEM related subject or a degree in any discipline. The 11-week academy for sixteen students, is focusing on core data analytic skills. On successful completion of the training, students will gain an industry recognised qualification and enhanced employment prospects to help them pursue a career in Data Analytics. Participants on the programme, include students from a wide range of disciplines such as law, psychology and computing, were welcomed by SERC Principal Ken Webb who explained the many benefits of the programme and wished them good luck as they prepare for their first exam. SERC Principal and Chief Executive Ken Webb said: "We are delighted to be supporting the Department in delivering the Data Analytics Academy under the Future Skills initiative to enhance the skills of unemployed students and prepare them for the increasing opportunities associated with data analytics. This is a powerful demonstration of how government and further education can work together for the benefit of the local economy and respond quickly to design a bespoke programme to fill a skills gap. Future Skills, developed by the Department for the Economy in partnership with the Further Education network is a government initiative providing individuals with the skills needed for the anticipated jobs of the future. The pilot programme will boost participant’s employment prospects and improve the local skills base.